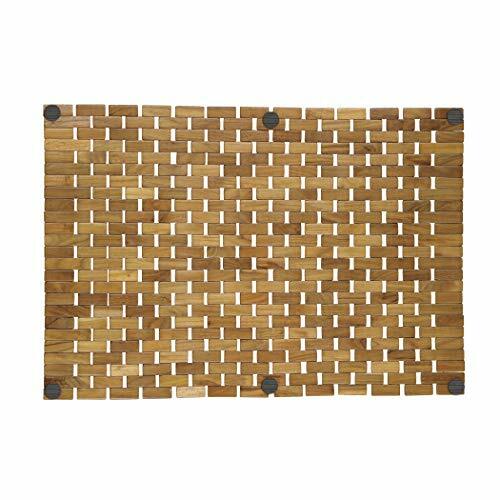 Pollenex roll-up teak shower mat is a sophisticated, elegant and all natural bath mat. its convenient design allows for air and water flow, which combined with the solid pieces of teak, naturally resist mold, mildew and fungi while providing a safe, nonslip area to stand during and after bathing and showering. a hand-stitched design is durable and unique while it can also be rolled up for easy storage. its comfortable nonslip surface is suitable in and out of the shower. If you have any questions about this product by Conair, contact us by completing and submitting the form below. If you are looking for a specif part number, please include it with your message.